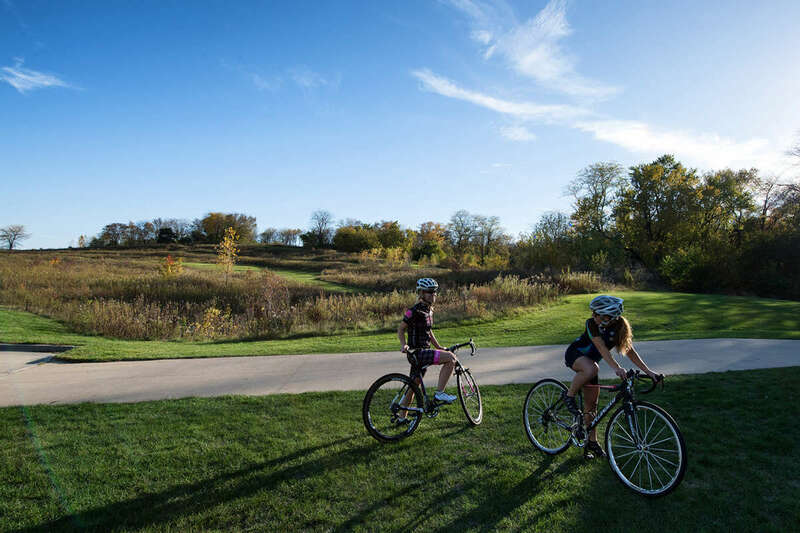 The 2.6-mile Coralville course is designed for races but will be open for other uses, such as hiking, trail running and cross-country skiing. The course travels across sloping terraces, a barnyard, woods, switchbacks, sand and an area that could be turned into a wet muddy obstacle. Challenging, varied terrain and obstacles are a hallmark of cyclocross, which holds a place of distinction in Johnson County, site of the annual Jingle Cross race.